proactive steps to be prepared. area, leaving little time to gather even the most basic necessities. 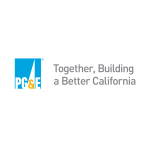 vice president of Electric Operations at PG&E. precautions to ensure preparedness in the event the situation worsened. ensure safety should the towers themselves destabilize due to water flow. customers. Keep electric vehicles charged as well. as they may be blocked. and downed power lines. Do not drive into flooded areas. on a second meeting place, in case the primary location is unusable.